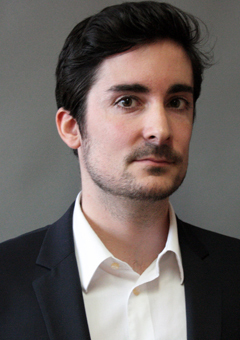 Samuel Carcanague has been a Research Fellow at IRIS since 2014, and specializes in the post-Soviet space and energy issues. He has worked on Russian foreign policy, international sanctions and energy issues in Central Asia, on behalf of the French Ministries of Foreign Affairs and Defence. He is now coordinator of GENERATE, a two years research project (2018-2020) on the Geopolitics of Renewable Energy, on behalf of the French National Research Agency, in consortium with IFP Energies Nouvelles. Aside from his research activities, Samuel Carcanague teaches Geopolitics of Central Asia and Research and Analysis Methodology at IRIS Sup’ (Masters I and II level). Before joining IRIS, Samuel Carcanague used to work for the French Ministry of Foreign Affairs, as a desk officer in the European Union Department. He holds a Research Masters in Contemporary History from the University of Paris IV – La Sorbonne.